First, a disclaimer – I’ve only put about an hour and a half into Of Orcs and Men. That’s really not enough to have a great impression of the game, but damn it, I want to talk about it. And a just little broken. Of Orcs and Men is a strange mishmash of Warhammer, Game of Thrones and Baldur’s Gate. It’s a game that takes old concepts, and makes them feel new and interesting, then adds a whole lot of cussing. 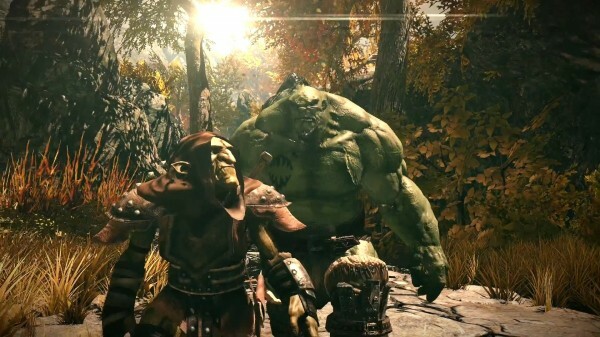 The basic premise is you play a pair of oppressed green-skins - a hulking Orc with anger management issues, and an enigmatic goblin assassin. These two set off on an epic quest to kill the emperor, and as far as I can tell, the jerk has it coming. He’s been running a campaign of terror for the last decade, enslaving and murdering the people of the south – orcs and goblins. I’ve been keeping an eye on this game for a while – there was something about the trailer that really caught my attention. There have been games that let you play from the greener side of the Orcs vs Humans turf war, but very few I can think of that have approached it grounded, and dare I say… gritty. I like it when someone takes a traditional fictional premise and runs with it in a realistic way. The characters feel real, but true to their roots. 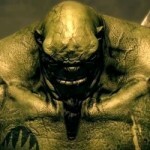 One of the two characters you play is Arkail – the orc. As you’d expect an orc to be, he’s aggressive, but not is a way that would hinder him functioning in day to day orc society. He’s not a just a characterture of fury, they guy has very genuine anger issues, with a few hints of a traumatic past. The player needs to manage Arkail’s rage in combat, or he’ll flip out and start killing everyone at the cost of his own well-being. This is an actual character flaw, not simply a game mechanic. His fellow orcs will tell him that he needs to manage his anger and not let it control him. The other character you play is Styx – a talking goblin. This is apparently fairly uncommon, where most people think of goblins as vermin. The game hasn’t told me much about Styx yet, and I’m very keen to find out more about him. This character is built around stealth, ranged combat and high burst damage – a fairly typical assassin role. 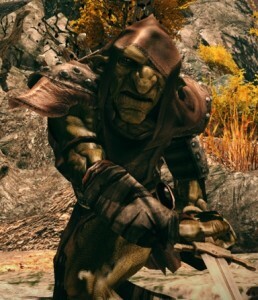 Like Arkail, the mechanics unique to this character are a reflection of his personality. He wouldn’t have survived so long of he wasn’t clever and stealthy, so has the ability sneak around while invisible, and has a variety of debuff abilities. The combat system works a little like Baldur’s Gate. At any point you can slow time and queue up a series of attacks. Unlike Baldur’s Gate, you never actually pause the game when issuing commands – time just moves at a crawl. There is still pressure to make a decision while you watch a sword slowly swing towards your head. Most abilities seem to make fairly dramatic changes to the likelihood combat rolls like critical hits and dodging. Styx has a Sharpshooter ability that will greatly increase his chance to critically hit, also reduce his chance to dodge. Dangerous, but if Arkail can increase his threat to hold the attention of the squishy humans, it’s not as much of an issue. Each character also has one of two stances, each with a different set of abilities. Start using defensive abilities, get a defence bonus. Start throwing daggers, get a ranged bonus. Simple, but it works. The combat system is sufficiently meaty, and feels like I’m just scratching the surface. This RPG comes at the middle-ranged price of AUD$40, sitting comfortably in between Budget and Triple-A. Most of the presentation is fantastic – the art design is great, the characters are interesting, and the voice acting is solid, but there are still a number of blemishes I’ve run into. The AI path finding really isn’t that great. I’ve seen patrols of guards just get stuck in walls, glitching out while trying to continue on their path. 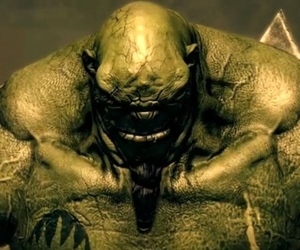 At one point I tried to lure a group of guards into the loving arms of my green orc, only to have them disappear when they ran around the corner. I was stuck trying to pull invisible guards back into their spawning area to keep them blinking out of existence. The animation really isn’t very impressive. Everyone feels a little stiff, and there are a number of repeated animations. I’ve seen Arkail punch hit fist into his palm just one too many times. It’s not terrible, by any means, but it certainly takes some of the dramatic edge off when people start walking around like awkward puppets. No… that’s a little harsh. It’s really not that bad, just not as good as it could be. Playing with a controller is also a little confusing. Most modern PC games will detect when you’ve started using a 360 controller, and update all of the tutorials appropriately. Unfortunately, this one doesn’t. I’m trying to play with my controller, and being told I need to hit the left mouse button to attack. Not that useful, but dropping into the menu you can find the button mapping. Rough edges aside, this feels like a potentially great, if not classic, RPG. I’ll reserve my judgement until I’ve put more time into it, but so far I’ve been very impressed. If you have the itch to play an action RPG with some interesting and challenging combat, while exploring a dark fantasy world with some unique protagonists, this might be the game for you.